This private cemetery was unknown for a time until the county built a road and found it. Earliest tombstone is for Matilda, wife of John S. Hohman, who died 15 September 1885. 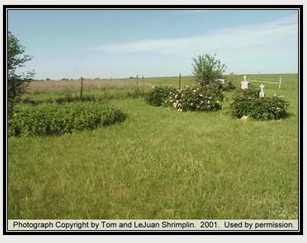 Note: Family Cemeteries are all on Private Property and permission should be obtained before entering.